Dr. Melsness was born and raised in Wenatchee, WA. After spending her time enjoying the waters of the Columbia river while growing up, she flew to Kauai to live for almost 8 years enjoying the waters of the Pacific Ocean. During that time she learned the meaning of 'Aloha'. Welcoming everyone as they are now. She has brought this feeling to her practice of medicine and continues to do so every day. She believes in working together to pursue health and helping you achieve your goals. Her bachelor's degree is in psychology from Central Washington University. She was a massage therapist for a decade after going to Brian Utting School of Massage in Seattle, WA. 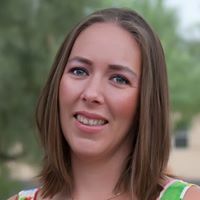 She then returned to school at Southwest College of Naturopathic Medicine in Tempe, AZ. ​Kahiau and Laka are the rest of the family of AIM. They are both 3 years old and still puppies, even though they both are over 70 pounds. Laka is very proud of his height of three feet! They are in charge of snuggles and kisses with a bit of play time in between naps. Currently Kahiau is in training to be less vocal about your arrival and Laka is working on not giving too many kisses to all visitors. You will find them at the office, when they can't bear to leave their mom, Dr. Melsness, which is almost every day.